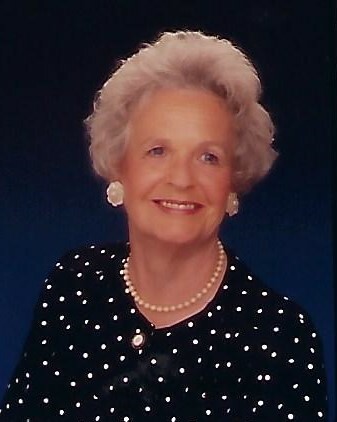 Elizabeth Marie (Betty) Bedell, of Bellaire, died February 6, 2019. She was born to Herbert and Marie (Ludbrook) Purdy in August, 1927. Her family lived on a farm near Central Lake in a stone house that was built by her father and uncle. Not long before her birth, her family had moved to Michigan from Montana and other parts of the West to be close to her grandmother, Lily Merrill Ludbrook. In 1946 Betty married a World War II pilot from Bellaire, Gordon (Doc) Bedell. They started out being part owners of the Bedell Dairy in Bellaire. After they purchased a farm, she worked hard and cheerfully there, frequently singing as she worked, until she was in her 80’s. Besides working on the farm, she held several other jobs in the Bellaire area. She retired as a receptionist for the Michigan Department of Health and Human Services. Loving care was provided to her at the end of her life from the Heritage Haus, as well as Meadow Brook Medical Care Facility, both in Bellaire. Betty was preceded in death by her husband and all of her siblings, Laverne Purdy, William Purdy, Suzanne Gibard, Dorothy Gibbard, Cleo Purdy, and Charles Purdy. Her five children and their families survive her: Doug Bedell (Linda Offenbecker), Walt Bedell (Katty Agurto Bedell), Shirley Edwards (Tim Edwards), Jean Bedell (Judd Fuller), and Mary Bedell (Merrill Morris), as well as her 9 grandchildren and 7 great grandchildren. When Betty wasn’t working on the farm, including in her flower garden, she was likely to be reading a book from the Bellaire Public Library. Memorial contributions may be made to the Bellaire Public Library, P.O. Box 477, Bellaire, MI 49615. Arrangements have been handled by the Central Lake Chapel of Mortensen Funeral Homes. There's still time to send flowers to the Graveside Service at the Lakeview Cemetery, Bellaire at 11:00 AM on July 26, 2019.